A healthy and happy workforce is key to controlling costs in the workplace. By reducing stress and emphasizing wellness, employees benefit and spend less time on sick leave. The company benefits too with increased morale, productivity, and reduced insurance costs. Create a competition to reward the biggest healthy loss of weight within a definite period of time. Rather than measuring actual pounds lost, concentrate on percentage of body weight. This way, individuals who are sensitive about their weight can safely participate. Give bonus points for employees that achieve a healthy BMI regardless of percentage weight loss. Offer employees the opportunity to earn zero-gain rewards around their birthdays and holidays. Participants will weigh themselves on November 1 and again on January 31. For birthdays they could weigh a month before and a month afterward. Award a prize to every worker who maintains his or her weight through the contest period. Support your team’s fitness goals by sponsoring them for entry fees into races. These events will give them a challenge to train towards completing those races, furthering your wellness program efforts. Encourage your employees to race together, and you can realize team-building benefits as well. Everyone can benefit from moving. Encourage your employees to walk, jog or run more each day by organizing a Fitbit challenge. Provide participants with tracking devices (you may be able to negotiate a discounted price if you purchase in bulk from a retailer) and set a variety of goals to accommodate workers at different fitness levels. Attach a reward to the achievement of each goal; you can award anything from medals or plaques to gift cards and extra time off. Need other wellness program ideas? Contact us today for assistance with this or any other employee benefits assistance. Do You Need a Workplace Anti-Bullying Policy? Workplace bullying is a growing concern in the U.S. 96 percent of American employees report having experienced work related intimidation or bullying occurring at least once in their career. Fully 89 percent reported harassing cases that had persisted for greater than one year. One of the most common kinds of bullying reported was sabotage of the work or credibility of others. While just 4 percent indicate physical abuse, most report extreme verbal abuse and menacing threats as common elements of workplace bullying. Such bullying invariably leads to negative productivity and is costly to the bottom line of companies. Bullying creates an uncomfortable work environment. Employees doubt their safety. They also doubt the leadership of the company. This brings about lower productivity and higher turnover. It can also lead to lawsuits if the work environment seems to “look the other way”. While the development of an office anti-bullying plan is necessary, the process can be challenging due to both practical and legal factors to consider. For instance, how do you identify destructive intimidation from friendly teasing? The National Labor Relations Board has complicated the issue having challenged various company bullying policies, usually due to the fact that they find the language within them to be also broad. Clearly state that your firm is devoted to promoting a considerate, bully-free environment. Define work environment bullying as clearly as you can and include a declaration that your firm recognizes the degrees of harassing that may occur (between managers and also employees, between coworkers, between clients as well as workers, and so on). Include a detailed list of the sorts of habits you will not tolerate under the policy. Define the process for reporting bullying incidents. Due to the fact that staff members could be scared of revenge, confidential reporting systems are typically preferred. Outline what happens to employees for violating the anti-bullying plan. Communicate the plan to staff members at all levels within your organization. Make sure each individual signs off that they have read and understood the policy. Take all reported issues of bullying and harassing seriously. You may want to consult with an attorney specializing in workplace issues to help you form your policy and action plans to be certain they are legal and adequately address the situation. And once you have established a solid plan, be sure to review your insurance. An EPLI policy can help protect you and your company from claims against your company and its response to reported workplace bullying. Employees’ loyalty is greatly enhanced when their employer offers them decent employee benefits. However, offering benefits can be a struggle for small businesses with limited profit margins. Below we offer 5 tips on helping smaller employers to minimize the costs of providing their loyal employees with good benefits. Health insurance buying cooperatives can help smaller companies to woo potential insurance providers. Each cooperative has its own unique structure, and may or may not issue superior insurance rates to companies in the regular open market. The value of buying cooperatives is often determined by local insurance underwriting rules and regulations. A New York City business cooperative, for example, offers members up to 35 health plans to compare and choose from. Though the insurance itself often comes with no discount, members are nonetheless entitled to additional benefits such as free health assessments and discounted dental care. Employers can use these plans to influence employees into considering their own healthcare costs. People with high-deductible health plans (HDHPs) can use HSAs to harness employee tax funds for non-covered medical expenses. Unused HSA funds can also conveniently be rolled over to the following year. Both employers and employees alike can fund an HSA plan. Additionally, health reimbursement accounts (HRAs) can also be used in conjunction with HDHPs. Employers use an HRA to set aside funds that can be used to reimburse a fixed amount to employees when it comes to non-covered healthcare expenses and deductibles. The funds are technically owed to the employer, but the employee can nonetheless roll unused funds over to the following year. Thorough health assessments and preventive healthcare can ease the symptoms and onset of chronic diseases such as asthma or diabetes. Smaller businesses with limited profits and healthcare budgets will often struggle if an employee has a long-term illness that racks up medical bills. In order to avoid this, many smaller companies are now running disease control plans that aim to treat and manage any chronic diseases that their employees may suffer from. Both insurers and third-party organizations provide these disease control plans that can save a smaller business tons of healthcare costs in the long run. Employees can use FSAs to pay for non-covered medical bills with their pre-tax money. FSAs come in the form of special debit cards that cover co-pays and medications that are uncovered by the employee at hand’s insurance plan. The money is taken away from the pre-tax funds that employees reserve. These FSA cards cost very little to own (often $2 or $3 per month) yet several FSA providers include them as added perks with certain insurance plans. Whether it’s a free gym membership, healthy canteen, or free periodic health tests, employers can provide their staff with many health-conscious facilities and resources that often see their insurance costs drop. Employer insurance costs can be greatly reduced by promoting health and wellness knowledge among your staff and providing them with the necessary facilities with which to boost their health. Benefits are for small businesses too. For many small business owners, benefits seem cost prohibitive. In the interest of short-term gain (or just making the bills each month), a number choose to operate without a benefits structure in place. While limiting monthly expenses can help some aspects of the business, high turnover rates and dissatisfied employees more than outweigh the gain. Today, more businesses large and small are creating benefits programs to attract and retain talented help. Benefits come in many shapes and sizes, continually growing in numbers firms compete for talent. Topping the list is medical care, yet staff members may also demand disability insurance, retirement plans, and more. The best benefits are better likely to attract the best talent. Employees satisfied in the workplace, feeling compensated with a benefits structure, are more likely to perform better. That’s according to Aon Consulting Senior Vice President Joe Lineberry agrees, claiming that when employees feel valued attendance and productivity will improve. Great benefits improve retention as well, as employees will want to keep them. The types of benefits are limited only to the creativity of the entrepreneurs offering them. Competition dictates some companies may offer a combination of benefits programs to stay ahead of their peers. In addition to the types of benefits offered, ease of access factors as well. Simple processes for submitting vacation requests and accessing other benefits is likely to increase morale. Business size and operating state may require compliance with the Family Leave and Medical Act. Under the FMLA, employees are eligible for 12 weeks of leave, unpaid. These include welcoming a baby or adopted child into the family, attending to the care of a family member, and personal health concerns. The leave may be taken at once or non-consecutively. To find more about state-specific requirements, contact your state’s labor division. Small business owners are subject to scrutiny from enforcement agencies. Small business owners often have limited experience implementing and managing employee benefits programs, and mistakes can be costly. The IRS and the Department of Labor have the ability to audit, fine, and more as enforcement tools. Before launching a benefits program or adding to an existing, contact a financial professional. Creating employees should be viewed as an investment rather than an expense. Good employees can help your business grow and develop, and low retention rates can help keep you focused on what matters. Be sure to come back often for more tips on small business ownership, and information on other insurance topics. The average American employee spends almost 25% of each week at the office. Add a commute and overtime and that number begins to climb dramatically. The more employees feel like their time spent working matters, the more likely productivity will improve. Companies investing in employee morale stand to gain. Asking a handful of questions can help discreetly reveal employee opinion in the workplace. 1. On a scale of 1-10, how happy are employees? Many managers find a simple scale of 1-10 helps gauge satisfaction in the workplace. Staff may have difficulty opening up about particular concerns; a number scale encourages feedback yet allows employees to remain noncommittal about responses. Those comfortable enough to elaborate should be encouraged to do so. The more information managers have, the better they can respond. If employees could make one change to the organization, what would it be? This is a positive approach to understanding how to improve the workplace environment. Suggestions can range from improving the workspace to changing company processes and much more. Approach with an open mind and uncover deeper issues. 3. Is there room to grow? Goals help increase staff retention and can help boost morale. People want something to work toward. With room for advancement, employees are likely to perform better and tend to feel better about coming to work. 4. Do employees feel like the company cares? People like to feel acknowledged for their contributions. Encourage excellent performance by recognizing employees for performance. This will help foster stronger relationships in the company and helps encourage others to perform better. 5. Ask employees to describe the company in one sentence. This is a direct way to gauge satisfaction. Limiting employees to single-sentence responses demands they select words carefully, placing an increased value on the response. Remember that employees are simply responding to questions they’ve been asked. Treat all responses as constructive criticism. Penalizing employees for responses will create large divides. Increased interaction between staff and management can keep the workplace running smoothly. People are natural optimists. For most unthinkable situations the general response is: “it can’t happen to me”. In truth, disabilities can affect anyone ranging from mild to debilitating. Disability insurance is a type of protection paying a portion of income in case of disability. The majority of American workers lack disability insurance and many are unaware the coverage is available. LIMRA, a group of financial and insurance professionals conducted a recent survey on employee insurance protection. 65% of respondents recommended disability insurance for employees, yet only 48% felt a personal need. Of those, a mere 20% actually carried disability insurance leaving the vast majority at-risk in case of the unexpected. The annual benefits open season is here. Disability insurance may be something to think about adding to benefits packages to add a safety net to coverage. As companies become more competitive with recruitment, this may be an automatic enrollment for many employees. Check with a human resources representative to see about automatic coverage; there may be new additions to benefits packages this season. Disability insurance may be less-glamorous than some other benefits out there yet the payoffs may far outweigh them. Disability insurance is a safety net for truly, often compensating up to 50-60% of annual revenue while disabled. Individual policy protection will vary depending on the insurance carrier and company options. Many long-term disability insurance policies have a waiting period before taking effect, in some cases up to six months. For protection during this period, short-term disability policies fill the gap. A broken arm or illness can affect weeks or months of work and income yet cancers and musculoskeletal afflictions can last years. Most people lack the savings to support the lost income through this time. According to the Social Security Administration, 25% of those entering the workforce will be disabled prior to reaching retirement. At one-in-four odds, chances are high enough to consider adding a layer of protection. A 2015 survey by the Federal Reserve Board found nearly half of Americans lack emergency savings. Asked about a hypothetical $400 emergency expense, 46% of those surveyed claimed inability to match that amount. Months or years of lost income due to serious illness or disability would likely cripple them. A growing number of companies include disability insurance as part of employee packages. LIMRA states 41% of companies offer disability insurance with larger companies leading the way. Depending on the organization, this may be a voluntary option or paid incentive. For employees paying their own premium, the cost is generally affordable with annual costs as low as $250-$300. Employees paying a premium with post-tax income may have more coming in the future if a claim is filed. Employees paying policy premiums may qualify for tax-free benefit payouts in case of a claim. The benefits of paying for a policy come with a catch, says Carol Harnett, president of the Council for Disability Awareness. She worries employees, when faced with a long list of insurance options, tend to skip disability coverage in favor of more-attractive or less-expensive options. 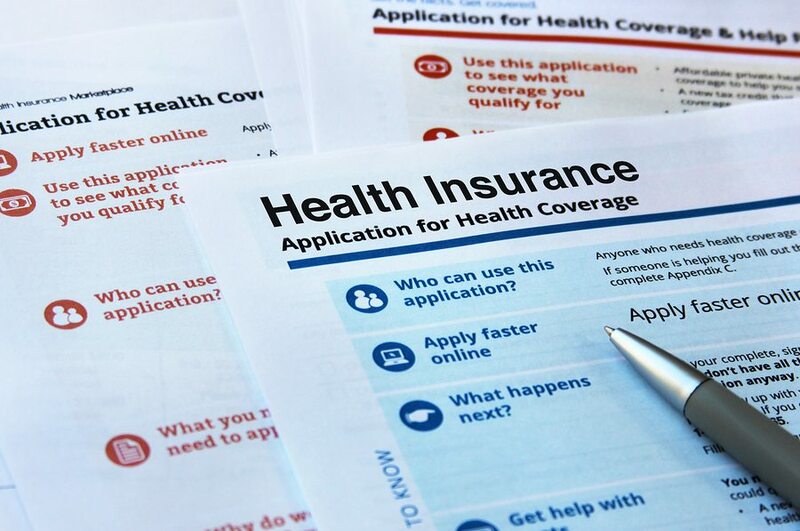 The solution may lie in auto-enrollment into voluntary programs. Leaving it to the employee to opt-out increases participation up to 45% more than opt-in disability insurance programs. Enrolling early is recommended as more companies include health evaluations for coverage. Pre-existing health conditions may affect qualification for long-term disability insurance. Speak to an agent for more information on disability insurance and create a safety net for the future. We’re always looking for new information on improving health and saving money. For more information on insurance options and protection contact an agent today. The last two years have been a virtual health insurance battleground. The political fiasco surrounding the Affordable Care Act (ACA, or “Obamacare”) has many employees irked and asking where to look for health insurance protection. Entrepreneur Walt Rowen knows this all too well. Rowen owns a company engraving glass with over 70 employees and once switched from offering benefits, to referring employees to the health insurance exchange. Increasing premiums and an uncertain future lead Rowen to reclaim control, once again offering benefits through an umbrella program. Employer-sponsored insurance protection is becoming once again popular. Health benefits are in high demand by the American worker even with the political turmoil surrounding them. Good employees are worth attracting. In a workforce where good talent is in high demand, companies aren’t willing to leave it up to the government. More companies are offering health benefits on their terms. In 2016 the Kaiser Family Members Foundation stated almost 96% of businesses with 50 or more employees offered coverage in 2014. By choice, almost 35% of businesses with less than 50 did as well. In Rowen’s opinion, companies are unlikely to abandon health coverage completely. This would, in his opinion, likely lead to mass exits as employees find better alternatives; this is especially so in states with a weak Affordable Care Act market. Since the future of the ACA remains uncertain, the government is likely to continue enforcing companies with 50 or more employees to offer health insurance coverage. The Trump administration pledged to continue working with Congress to write effective health care legislation. White House spokesperson Sarah Huckabee Sanders said the ACA mandated many people pay for services they were unable to afford. At present, the White House is considering continuing cost-sharing aid, a premium-reducing benefit. Take it away and it’s estimated premiums will increase and insurance firms will leave markets completely. A poll by The Associated Press-NORC Center for Public Affairs Research found 61% of those surveyed opposed revoking the ruling, including 58% who identify as Republicans. Since World War Two, when Congress granted tax exemption to benefits, health coverage has been the national standard. Today nearly 90% of employees work for companies with health and wellness benefits, according to the Kaiser Family study in 2016. When dependents are included in that figure, nearly half of Americans are covered under employer programs. William Kramer, executive director for national health policy for the Pacific Business Group on Health, agrees with Rowen that large companies must keep workers happy and would be unwise to cut benefits. This finding has many thinking it’s likely businesses will continue to. On top of that, reduced unemployment and a competitive workforce drive companies to offer benefits far beyond the ACA requirements. Even if the mandate to offer coverage is removed, experts suspect many companies will carry on offering benefits. Glass company owner Walt Rowen said his decision to reinstate on medical insurance had less to do requirements. For Rowen, the decision to bring benefits back has more to do with staff retention and overhead expenses. There was a time when it made more sense to pay the fine, rather than pay for benefits. Packages are more affordable today, and the competition for good talent is strong. The turmoil and fallout from the ACA make it more affordable to offer benefits today than in previous years. For Rowen, the expenses involved are a worthy investment. He is sure if employees found a less-expensive plan, or a company offering health insurance where he wasn’t, staff would understandably take the offer. We’re always looking for interesting information that may affect health and happiness. Call an agent today for any insurance-related questions. Perks are a hot topic for people in the workforce. It’s true that job security and high income always rank high for importance, benefits are swiftly becoming a deciding factor for many applicants. According to a 2016 study by Glassdoor, of the 2000 people surveyed, a whopping 75% described benefits a top consideration before accepting a position. The same survey revealed managers struggling to recruit top talent, illustrating a need for more-competitive benefits packages. Accordingly, more companies are starting to include more benefits than before. These may include extra vacation days, childcare, paid volunteer time, or company-paid lunches. Companies are getting creative, creating unprecedented benefits packages for recruiting and retaining talent. The future is happening today. Some top companies are starting to include DNA screenings for detecting genetic and health anomalies early on. These kits cost the average consumer several hundred dollars apiece, illustrating the sheer amount of capital these giants are willing to pay for employee satisfaction. It isn’t hard to imagine the costs for companies with staff in the thousands, only hard to imagine paying it. Childcare costs are prohibitively high for many parents trying to enter the workforce. This leads to more parents staying at home, removing their skill and talent from the workforce. Today, companies are courting parents with attractive childcare and schooling benefits. 5th Third Bank employees receive pregnancy concierge services, and the staff at SAS of North Carolina can concentrate knowing children are safe within any of the company-inclusive daycare solutions. Happy employees perform better, and great benefits bring top-talent into the fold. Some employers take employee health and wellness to the upper-level. Alliance Healthcare team members receive holistic massages on Mondays. The company estimates spending $3000.00 monthly on this program alone, and it’s money well-spent. Alliance firmly believes this improves employee satisfaction, health, and performance. As an added bonus, employee retention has been linked to massage Mondays. SHI International General Supervisor Phil Wilhelm says the company spends about $50,000 each year on health programs. These range from Yoga Thursdays to Camp Gladiator Tuesdays. On top of physical fitness and health, these events create and strengthen employee relationships and contribute to a team atmosphere. Lola includes a nutrition program for the staff of 53 employees, inclusive of training and nutrition counseling for staff. Vacation days are great, yet many employees lack the ability to enjoy it. Companies like BaseCamp want employees to have fun, granting each employee $5000.00 in vacation pay each year. Betabrand, using a lottery, grants flyer miles to one staffer every 4-6 weeks for a company-sponsored trip. This is similar to the program at Dialpad where employees vote among each other to award an all-expenses vacation to the winner. G Adventures gives a complimentary vacation to all permanent employees after completing a year with the company. The company wants staffers familiar with the programs, encouraging travel. Staffers can choose paid-trips up to $2,500, with additional air travel reimbursement up to $600.00. For some time, many company benefits packages included student-loan payback programs to help employees overcome college loans. Today, innovative companies are placing a new spin on this concept. Continuing and further education is the new way to attract, retain, and build company talent. Argentinian software giant Belatrix includes language training for employees and attributes low attrition rates to it – some of the lowest in the technology industry. CreditKarma has courses for and by staff members including valuable coding, negotiation, and management courses for staff. Courses by employees for employees fosters a positive mentor-student environment. The only limits to engineering benefits are creativity and capital. Top companies recognize the importance of recruiting and keeping top talent. Employees have choices. Stay current and stay competitive with attractive employee benefits. Return often for more great articles about insurance and wellness topics affecting health and wallet. Please call with any insurance-related questions or comments! Student debt creates challenges for persons in the workforce. Employees saddled by debt may change positions often, looking for better pay. The firms leading the pack incentivize recruitment packages inclusive of loan assistance and student-debt payback programs. Past and present debt assistance helps firms attract and keep top-level staff. Top companies like Pricewaterhouse Cooper, Starbucks, Walmart, Taco Bell and Geico are pioneers for today’s education benefits. These organizations include attractive loan reimbursement programs for staff. Professional help with accounts, creating payment plans and helping employees overcome debt. Zoe Weintraub with Guild Education says attracting fresh graduates is vital for growth. With college debt removed from the picture, employees can better focus on the job at hand. Weintraub says employees feeling catered to are 70% more effective than coworkers. Employees want their debts under control, and the option to pursue more education. Competition is strong for the best graduates, and graduates know it. Technology moves fast, industries across the board change rapidly. Fresh talent helps firms stay current with industry and customer trends. Companies keen on organizing and paying off employee debt have a recruitment advantage. Happy employees are more likely to remain with the company, reducing turnover. According to Weintraub, the proof for this is in the numbers. Her data supports higher retention levels for employees with employer assistance, with rates as high as 60%. Weintraub has the support of Lance Salman, a lead marketer with Taco Bell claims a 30% increase in employee retention since implementing Taco Bell’s employee benefits program. Salman said the tactics at Taco Bell included top-down staff integration into the program. Company leaders, supervisors, and junior employees have access to the program. This tactic worked especially well for entry-level employee eager for advancement. Tuition reimbursement helps retain employees while generated educated staff. With retention covered, companies can focus on generating leads and making sales. Attract and keep the best people with loan payback and tuition assistance programs. Staff with education interests tied into employment have more to gain from long-term retention. Implementing an employee education benefits program is simple and affordable. Business and insurance topics have an impact on budget, time, and return. Contact an agent for more information on insurance protection. Get the content you want – please send any topic suggestions and requests.